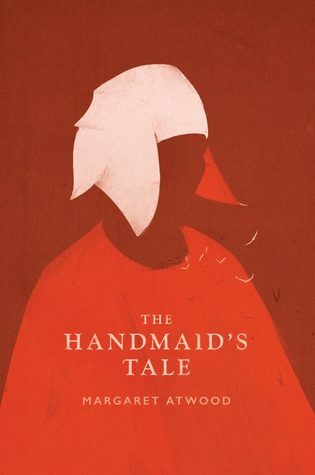 I know there is much hubbub surrounding Margaret Atwood's The Handmaid's Tale and its resulting Hulu television series. The book was published in 1985 and appears to have been popular from the start and even more so now with the recent show. I am certain Ms. Atwood does not need my approval or two cents, but, nevertheless, I will give it in this review. The Handmaid's' Tale is a dystopian/fantasy book set in the future that could very well be the present - if all hope was lost. In the book, people are segregated by class, and women are only regarded for their bodies and ability to bear children. The tone is dark, depressing, and plain ole sad. I prefer reading realistic fiction. I don't think a dystopian society can ever really happen, and I know many people believe part of Atwood's genius in this novel is displayed because she predicted so much at the time of publication that has come to pass. And, if I am honest, I can see where people get that; however, I don't believe we will ever get to a point where all will be lost. I think of ABC's television show, What Would You Do? It's a situational show that employs actors who play out these scenarios that can be pretty awful (e.g., someone being shamed for their sexuality, someone abusing animals, or stealing, etc.). The actors are placed in the real world where real people, none the wiser to the acting, witness these scenarios. With smart editing, we see situation after situation where no one speaks up, no one does the right thing. And just when you think we're a world full of Kitty Genovese onlookers, someone speaks up and does the right thing. (And this is the point where I usually start crying.) But I digress. I don't believe we will ever be in a dystopian society because I believe in humanity. So, on to the book. Overall, I found The Handmaid's Tale to be a skewed view of the institution of African American slavery in the United States that was co-opted for white women. And to add insult to injury, Atwood intentionally omitted characters of color in her fictional, future world. (Sorry, Ms. Atwood, we are here to stay and we aren't being shipped off anywhere else.) I nearly threw my iPad across the room when I got to the part about the Quakers' home that served as a station on the Underground Femaleroad. Seriously? Seriously. Furthermore, the premise of this Gilead Society seemed to mock Christianity, which did not resonate with, and often angered, me. The novel's conflict is somewhat intriguing, but I often got bored with the protagonist's stream of consciousness droning about her day-to-day life. It was a bit repetitive and morose. My sole motivation for completing this book was to discuss at my August book club meeting. Recommendation: Every book is for someone, and this book was not for me. If I want to read about women being forced to produce children for the benefit of society, I can just re-read Colson Whitehead's The Underground Railroad or read any of the thousands of novels that discuss a very real historical situation. And because of that history we know better and will do better as a society - dispelling this whole idea of a dystopian society!